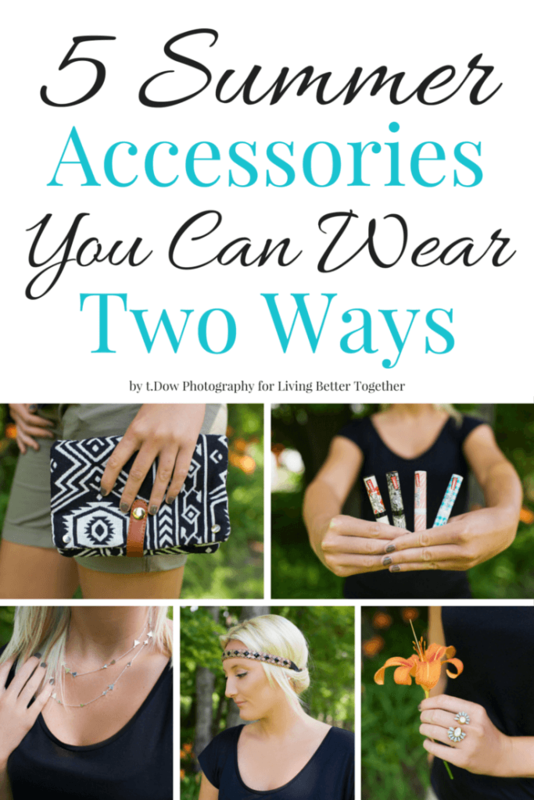 These 5 Summer Accessories You Can Wear Two Ways with Carmex are absolute style must haves! Summer is here and gorgeous as ever, so your accessories should be too. I get so excited when I purchase items that I know I am going to be able to wear with not only multiple things, but in multiple ways. When you have more versatile summer accessories, you end up spending less for the fewer items which leaves you with more cash for summer getaways, ice-cream, and fruity cocktails with umbrellas! I’ve gathered some of my favorite summer accessories that can be worn on a regular basis, day to night, and won’t break the bank. Carmex has come out with some pretty stylish lip balms made with adorable new prints that change with the season for their products. 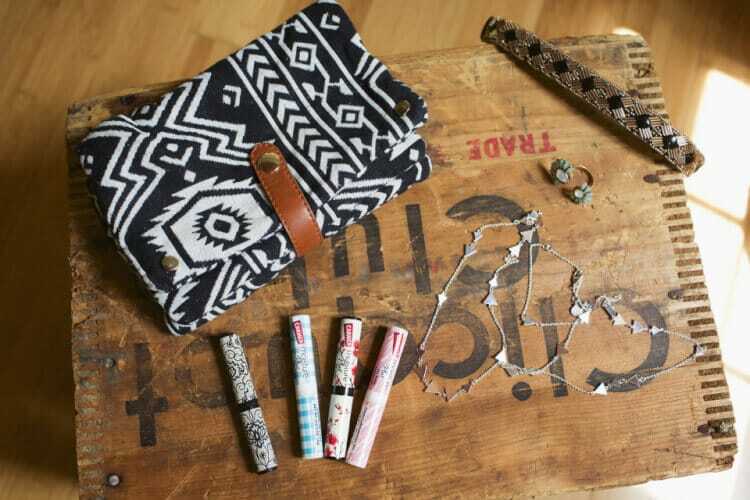 With a collection of designs, they’ll fit every girl no matter her style. This product is a must have to treat your lips after a day in the sun and to add some shine to glam up your evening look. This small handbag is awesome for days shopping in the summer because it leaves you hands-free and holds all your everyday essentials like Carmex and your cell phone, but it’s also the perfect Little Black Dress accessory to hold your cards and cosmetics when you head out for the evening. Wear it over the shoulder or as a clutch. This statement ring is perfect to dress up any outfit and so comfortable despite its size. For the edgier girl, it can be also worn as a toe wrap to draw attention to your fun summer pedicure. This headband is the perfect way to keep your hair out of your face while you’re driving with the top down or out on the boat. When you tuck your hair around the headband, you have an instant updo that will look chic with anything! This necklace can be worn at its full length to give you a more laid back boho-feel, or can be wrapped around your neck twice for a more feminine and dressy look. So there you have it, 5 great summer accessories that can be worn multiply ways! I’m particularly loving the Carmex, it’s been a lifesaver during the summer months keeping my lips uber soft and it’s vanilla flavor is amazing, plus it has SPF 15! Since 1937 Carmex has been manufacturing it’s original lip balm in the iconic yellow lidded jar. Now the brand your lips have come to know and love has gotten a fancy style upgrade with the always on trend, fashion inspired Carmex Moisture Plus Lip Balm! With Carmex watching the runway and keeping up with the hottest Pantone colors of each season, you can have your own stylish little lip balm in your pocket or clutch for just $2.49! 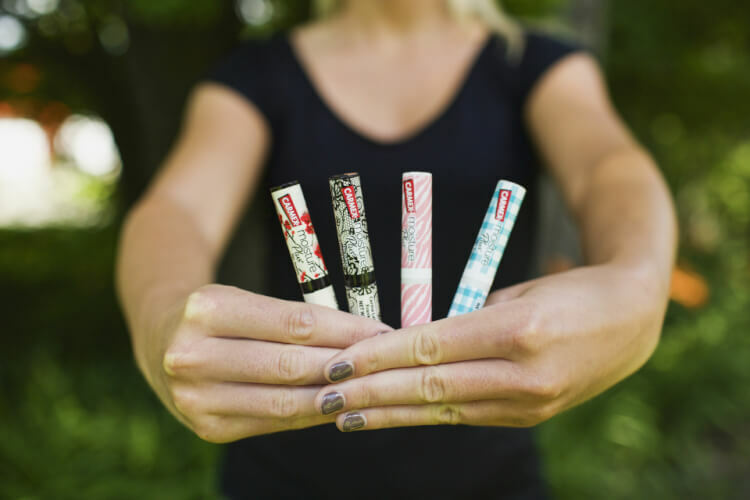 The low price keeps you lips feeling great with its ultra-hydrating formula without breaking the bank! You can buy Carmex Moisture Plus Lip Balm at Walmart, Walgreens and Dollar General. Don’t forget to check out these lip and skin care tips and keep an eye out for these Fall designs coming soon! I love the toe rings/finger rings from Stella and Dot. I’ve never seen them before. We use that carmex and love it. Love all the styles. I have never seen that stella and dot ring, super cute. I love that clutch! So cute and goes with so much! Can I just say that I am in live with the ring/toe ring idea? I love the color and pattern. And while I am generally not a purse person, I am loving that clutch. Thanks for the ideas! I love the clutch it is gorgeous and would go with any outfit! I love it all. You really made it all flow together nicely! what a pretty necklace and ring. i have a leather wrap bracelet that i can also wear as a choker so im feeling this post! and what cute chapticks. i have a weird obsession with fun chapsticks. Totally love the lip balm packaging! I want every design!!! Love the clutch and toe ring/ring! If only I could pull of a the boho headband. Great finds! What gorgeous accessories! Your blog is gorgeous. I’m so glad that I discovered it today! Ah I love those new little Carmex styles! I also use headbands to wrap my hair up in! It’s a great way to curl without heat, too. I have always bee a huge fan of Carmex – but this version is new to me. I def need to stock up. Love the necklace and purse as well. I love that clutch!!! I see it’s from Stitch Fix, what is the name of it? 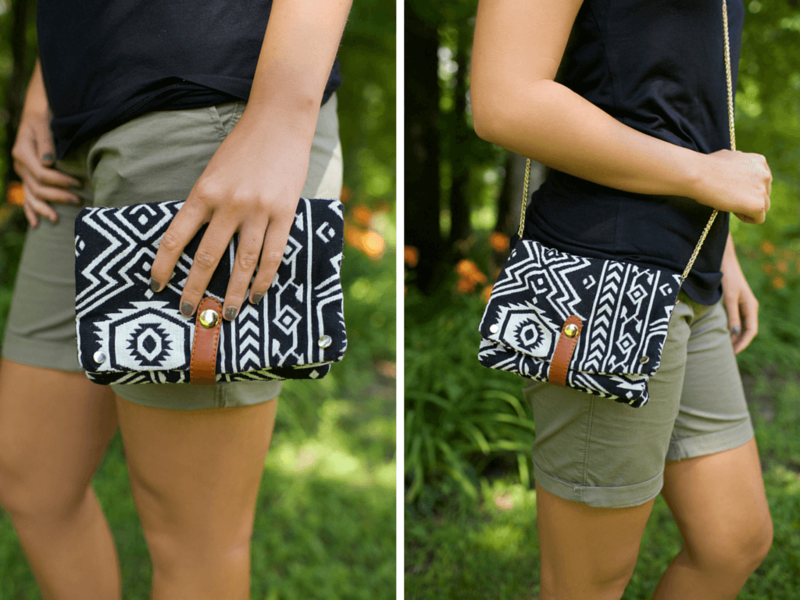 I am a big fan of the clutch and I love the pattern. Very cute! Thanks for sharing! I love things that can be worn more than one way! That necklace is absolutely adorable!